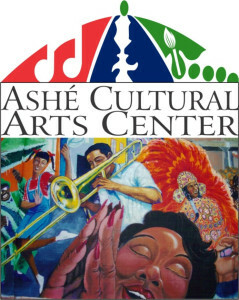 The ACS Black History Celebration comes to the Ashé Power House Theater for 6 p.m. this Wednesday , Jan. 30. Audubon Charter School’s Talented in Arts students will celebrate Black History Month with the Ashé Cultural Arts Center through music, dance, drumming, spoken word and storytelling. The theme will be the origin of the Anansi the Spider Stories (Ghana West Africa); students will perform and show how these stories crossed the ocean through oral tradition told from generation to generation. The ACS Black History Celebration will also feature special guest artists Sha’Condria ‘ICON’ Sibley and the New Orleans Society of Dance NOLA Baby Dolls. ‘ICON’ is a national poetry slam artist whose work has been featured in the Huffington Post, Marie Claire, Teen Vogue and BET. The New Orleans Babydoll Ladies are a culturally centered dance company of women whose performances bring to life New Orleans heritage and folk artistry. Adult tickets are $10; Children ages 6 to 16 are $5, and those under 6 are free. Tickets will be sold at the door the night of the event and online at auduboncharter.org.